Friday Night Cat Fight » Blog Archive » 1/21/11 – The “Rockin’ Pneumonia” Cat Fight! My vote went to Huey this week, believe it or don’t. I like JR, but it was obvious to me that his version was a cover; it just sounded like an imitation. So sorry, MTC, that you had the rockin’ tummy flu, or whatever it was. Glad you’re back; thanks for a good FNCF! I voted for Huey, because the original is much more sloppy than Johnny’s. And what is the flu, really, if not sloppy? It was Johnny ( secret agent man ) Rivers for me this week. Huey ( he’s not the News ) Smith sounded great but JR had the upbeat version I dug the most. I like the oldies but this maybe Johnny Rivers best cover ever. Like most, I lean towards the original. This was not one of Huey’s best but I still love the sound. Matt, Thanks for adding the Sam Cooke tune. I do love his music. He was one of the greats. In my humble opinion, Johnny gives it a richer sound. Thanks for the fight and Sam. I really appreciate you! Went into this on thinking it was going to be Huey and the Clowns all the way, but came out of it voting for Johnny on the stunning piano work of Larry Knechtel – what a performance! Here’s a link to his bio – http://www.larryknechtel.com/LarryKnechtel/biography.htm. Great Catfight Matt glad you got the flu to inspire this one. Deb says she’s glad you’re feeling better. Happy belated birthday Sam. After listening for three days and against my original inclination my vote goes to Johnny, the music was just better in my opinion. And I have to say thank you Matt this is certainly a preferable way to have either illness. I know, I go back and forth on voting for a cover like Johnny’s that doesn’t really change up the arrangement, but Johnny and his band–yes, props to Larry Knetchel on boogie woogie piano– were ragin’ like a 103 degree fever on this one, and for me, Piano Smith wasn’t on, rhythmically, vocal-wise. I like Sierra’s suggestion that Huey’s sloppy fits the song, but I voted for Johnny Rivers. Sorry, David; that “sloppy” comment was CCK’s, not mine, but I do agree that it was a good inspiration. 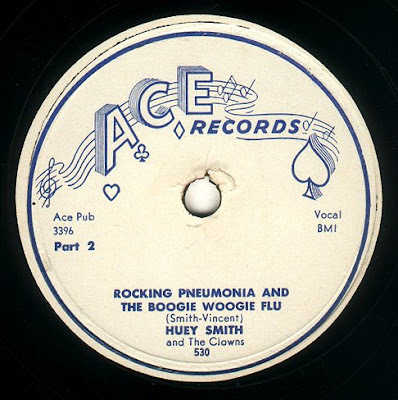 Still, I can’t agree with Bruce; not really glad MTC was saddled with the flu, as this certainly wasn’t the boogie-woogie type. Didn’t know Bread’s pianist was featured in JR’s cover; that’s interesting. I do agree with Deb; SO GLAD you’re better, MTC. I love that original sound! 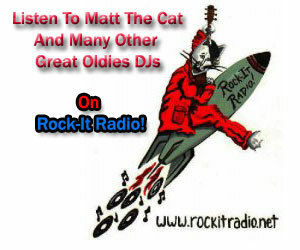 And thanks for playing Sam Cooke…Keep the Cat Fights coming, Matt! You are great!